The wordplay in each across clue leads to the answer with one letter omitted. 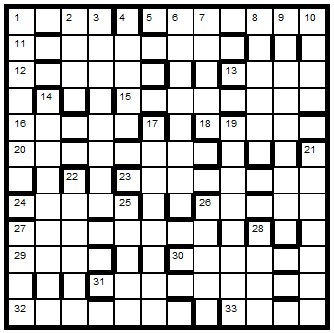 When read in clue order these omitted letters provide an instruction that solvers will need to follow in order to be reassured that they have got the correct solution. To enter this competition, send your entry as an image or in list format, to quiz.man@ntlworld.com before the 8th October 2014. The first correct entry drawn from the hat will receive a book from the Chambers range which has been donated by Chambers.